Location: On either side of Coniston Lane just west of the junction with Swine Lane. 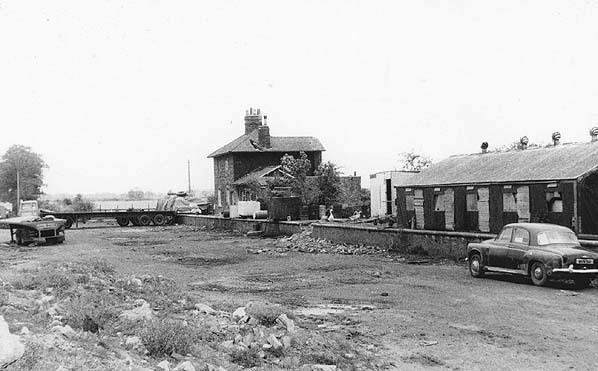 The station building is on the north side of Coniston Lane. 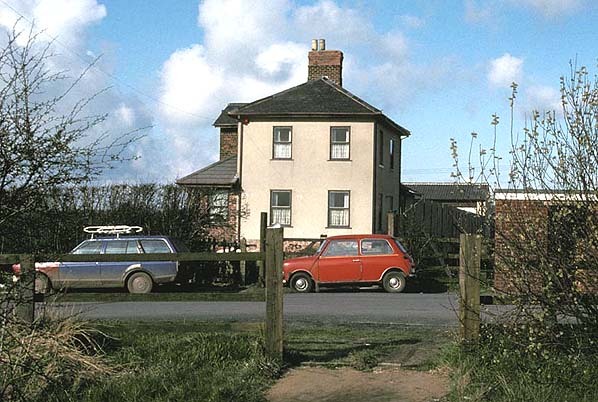 Present state: Unknown - the station building is believed to be a private house. Notes: The station had 'staggered' platforms, i.e. 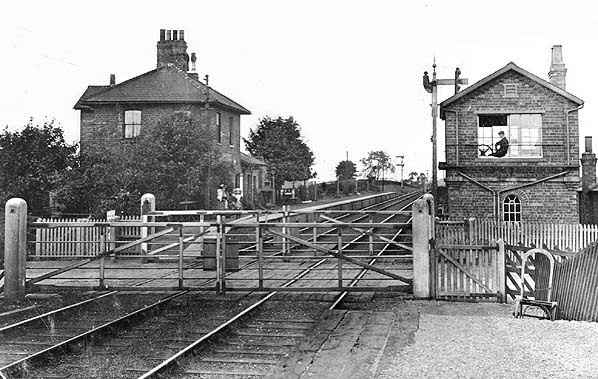 the up and down platforms were on opposite sides of the level crossing. The goods service was withdrawn on 11.11.1963. A line connecting the Hull-Scarborough branch at Arram to a site near Hornsea Mere had been proposed in 1846/7 by the York and North Midland Railway but never built due to the downfall of chairman George Hudson amidst a financial scandal. A new line connecting Hull and Hornsea was promoted by Hornsea resident and Hull timber merchant Joseph Armytage Wade, the aim of such a line being to develop Hornsea as a fashionable Victorian seaside resort. The first sod was turned by Wade on 8.10.1862. Problems were encountered during construction due to the nature of the local soil; there were further issues with poor workmanship and materials used by the contractors. A late change of plan saw the line extended from the proposed terminus at Hornsea Bridge to the seafront; this meant construction of an embankment which required the ground to be piled adding substantially to the already escalating construction costs. Opened on 28.3.1864, the line ran in a fairly direct North Easterly direction from Hull, the original Hull terminus was Wilmington station, though after 1st June 1864 trains ran via the Victoria Dock branch into Hull's Paragon station. Due to lower than expected receipts and consequent financial difficulties, the Hull and Hornsea Railway merged with the North Eastern Railway on 16.7.1866. The line was constructed as a single track but was doubled throughout in the early 1900s. Diesel railcars were introduced from 71.1957 and operated local services from that date. Centralised Traffic Control (automated signaling and level crossings) was proposed in the early 1960's, but this was overtaken by the 'Beeching Report'. 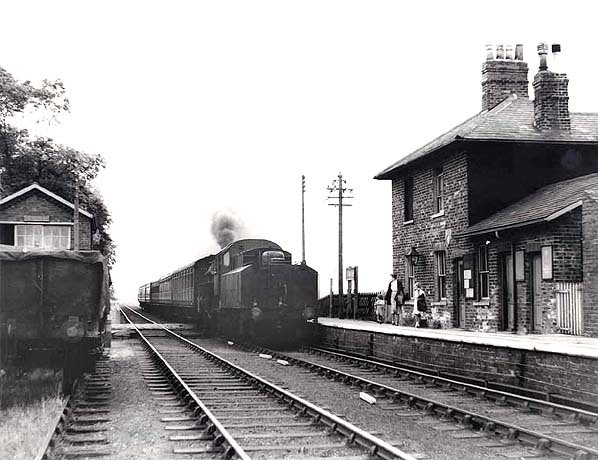 Closure to passengers came on 19.10.1964, with Goods services to Hornsea Bridge continuing until 3.5.1965. Today, the trackbed of the railway forms the 'Hornsea Rail Trail', also part of the 'Trans Pennine Trail'- the majority of station buildings still exist and the trackbed is virtually complete throughout. ISBN 0 0907033 86 5. Route map drawn by Alan Young.